The 63-year-old Westside Highway Car Wash, formerly known as the Underwest Car Wash, was the second automated tunnel car wash built in New York, and having adopted ecofriendly practices over recent years, it has proved, according to its website, “that we can evolve with the times.” Now it’s gone and evolved again, this time installing an artisanal-doughnut-maker on the premises, in the hallway opposite the tunnel. The doughnut-maker is Scott Levine, a Chanterelle and Union Square Events alum who married into car-wash royalty (his wife’s father co-owns the place). His spectacular old-school cake doughnuts come in newfangled but not-too-outré flavors like coco-raspberry sugar and brown-butter glazed. 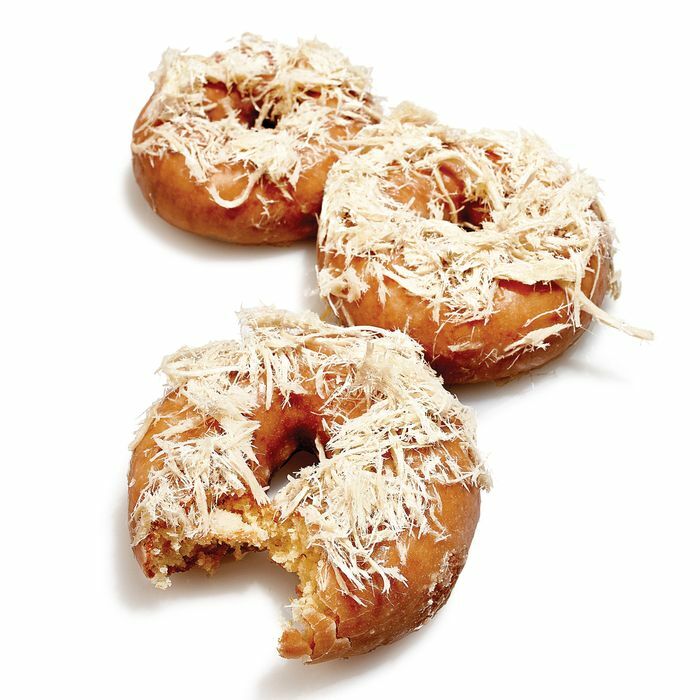 Our favorite, though, is this glazed cake doughnut topped with shredded halva. It looks like a doughnut dressed up in a feather boa but tastes like a dream. On the menu at Underwest Donuts, $2.50; 638 W. 47th St., at 12th Ave.; 212-317-2359.